Cell C Sharks centre Marius Louw has been banned from Super Rugby for three weeks after admitting to making a dangerous tackle last weekend, the organisers said on Tuesday. The incident occurred during a 28-14 win for the Sharks over the Melbourne Rebels in Durban and the suspension means he will miss matches against the Bulls, Lions and Jaguares. 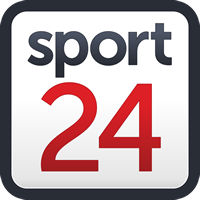 A Super Rugby statement said the foul fell in the six-week ban range, but the prompt admittance of guilt by Louw and his good judicial record were mitigating factors. Louw usually plays off the bench for the Sharks with Springboks Lukhanyo Am and Andre Esterhuizen the first choice centres of coach Robert du Preez.